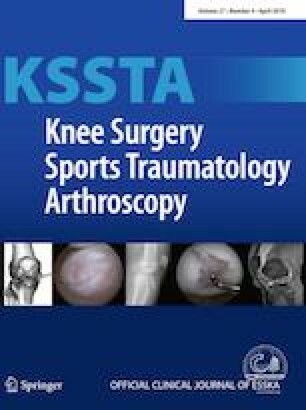 The purpose of this study was to determine the cost of arthroscopic partial meniscectomy (APM), one of the most common surgeries performed by orthopaedic surgeons, and the associated rate of progression to knee arthroplasty (KA) compared to patients treated non-operatively after diagnosis of meniscal tear. Utilizing data mining software (PearlDiver, Colorado Springs, CO), a national insurance database of approximately 23.5 million orthopaedic patients was queried for patients diagnosed with a meniscal tear. Patients were classified by treatment: non-operative and arthroscopic partial meniscectomy and were followed after initial diagnosis for cost and progression to knee arthroplasty. There were 176,407 subjects in the non-op group and 114,194 subjects in the arthroscopic partial meniscectomy group. Arthroscopic partial meniscectomy generated more cost than non-operative ($3842.57 versus $411.05, P < 0.001). Arthroscopic partial meniscectomy demonstrated greater propensity to need future knee arthroplasty (11.4% at 676 days) than those treated non-operatively (9.5% at 402 days) (P < 0.001). Female patients demonstrated a higher rate of progression to knee arthroplasty in the arthroscopic partial meniscectomy and non-operative groups (P < 0.001). Compared to non-operative treatment for meniscal tears, arthroscopic partial meniscectomy is more expensive and does not appear to decrease the rate of progression to knee arthroplasty. Patients undergoing arthroscopic partial meniscectomy yielded on average a delay of only 9 months (274 days) before undergoing knee arthroplasty. Female patients experienced a significantly higher rate of progression to knee arthroplasty. The authors recognize the limitations of this type of study including its retrospective nature, reliance upon accurate coding and billing information, and the inability to determine whether symptoms including mechanical locking played a role in the decision to perform an APM. The online version of this article ( https://doi.org/10.1007/s00167-019-05481-8) contains supplementary material, which is available to authorized users. BB: primary author and orthopaedic resident responsible for all aspects of study and manuscript. BM: co-author and orthopaedic resident responsible for background, study design, analysis, and review. AT: co-author and orthopaedic research assistant responsible for database management, analysis, and review. JPS: co-author and orthopaedic attending responsible for background, study design, analysis, and review. SM: co-author and orthopaedic attending responsible for background, study design, analysis, and review. BV: primary investigator and orthopaedic attending responsible for background, study design, analysis, and review. Funding was provided by the Department of Orthopedics at The University of Kansas Medical Center, no outside funding was used. None of the authors have any relevant conflicts of interest pertaining to this research. This study was approved by the Institutional Review Board at The University of Kansas Medical Center.